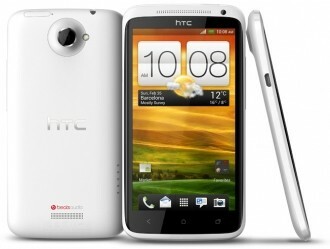 A small number of HTC One X users have been experiencing Wi-Fi connectivity issues since the phone’s launch. The company released a software update weeks ago that was supposed to help remedy the issue but the problem persisted for some. This led some members of the xda-developers forum to believe a hardware issue was to blame and after Android Central tipped HTC off, we now have an official answer from the handset manufacturer. A statement from HTC notes that they have identified a fix that strengthens the area of the phone around the Wi-Fi antenna. They have additionally taken immediate action in the production process to remedy the problem. This seems in line with that some customers are experiencing as squeezing a certain area of the phone reportedly fixes the problem temporarily. The issue appears to be limited to the Tegra 3 version of the One X and only an isolated number of phones seem to be affected. Android Central says the Tegra 3 phones they have on hand aren’t experiencing the issue. Customers that purchased their phone through AT&T should be safe as those handsets use a Qualcomm Snapdragon S4 processor instead of Nvidia’s solution. HTC suggests anyone experiencing the hardware glitch should call them to verify the problem. It may be possible for some to exchange the phone where they purchased it but that option varies by country. No word yet on what steps are being taken outside of a handset exchange.